Psychologists still struggle to easily treat many common mental health disorders because the complex causes and effects of these conditions are usually not well understood. If you have a mental health condition such as anxiety or depression, you will be happy to know that it is definitely treatable if you are willing to be very patient and cooperative as you work with your healthcare providers to play around with a bunch of treatment options in order to figure out what methods of treatment work best for you. 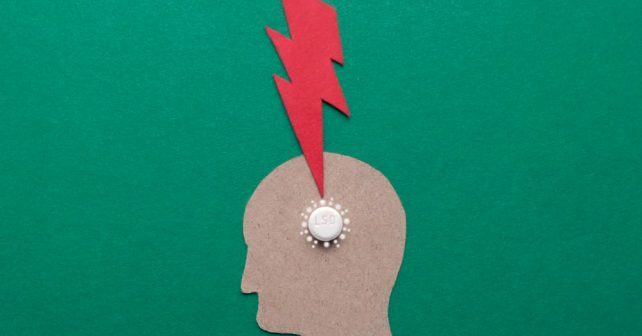 Other mental health concerns are much more difficult to deal with for various reasons, which has pushed researchers to turn their attention to certain nontraditional drugs and their potential benefits in treating a number of psychological disorders. For years, researchers have been well aware that psychedelic drugs could work to treat depression, alcoholism, anxieties, personality disorders, and more. In the last century, researchers discovered that drugs such as lysergic acid diethylamide (LSD) and psilocybin could help people suffering from a wide array of mental health conditions. However, younger people were unnecessarily encouraged to use LSD by one of the leading LSD researchers at Harvard. The drugs then became a big part of the counterculture movement starting in the 1960s, so the use of psychedelic drugs became a crime and research on their potential benefits completely stopped. Today, therapists use a variety of different treatment methods, but all these options come with a couple of serious obstacles. For example, it is a common problem to see people decide to stop taking antidepressants because they think it has worked to cure them. When patients decide to stop taking their antidepressants, their depression or anxiety often then gets worse. Lithium, a common treatment for bipolar disorder, comes with many adverse effects and many patients end up addicted to it. There is also the problem that people, particularly men, do not feel comfortable with therapy sessions, especially when therapy is not always goal oriented. The truth is that mental health disorders are incredibly frustrating, time consuming, and stigmatized. 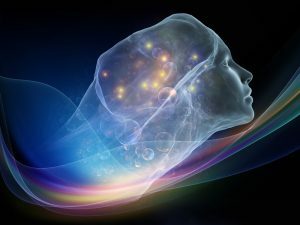 Therefore, researchers are thinking more about less traditional options for the treatment of mental health conditions. Recent clinical trials have reflected a revival of interest in psychedelic therapy and the literature shows positive results when it comes to using it for depression, addiction, end of life care, and post-traumatic stress disorder. No one is giving patients LSD, telling them to go have fun with their psychedelic experience. Rather, patients are given drugs in a controlled setting and they are told to relax, listen to music, and reflect inward. People are very susceptible when using psychedelic drugs, so therapists are around to make sure patients are taking advantage of a patient’s drug-induced state in a way that will enable the patient to see improvement in whatever condition they are dealing with. The drugs often allow patients to more freely express themselves, especially when patients are simultaneously listening to music, which can help them resolve certain inner conflicts with help from a therapist. While psychedelic drugs definitely work extremely well, they still have a bad reputation. There are good reason for this reputation. Too much of it can obviously have adverse side effects, including impulsive behaviors, quick shifts of mood and emotions, hallucinations, altered perception, high blood pressure, rapid heart rate, high body temperature, sweating, dizziness, inability to sleep, decreased appetite, dry mouth, tremors, and seizures. Therefore, you only want to use it as a very last resort. For example, if you have depression or anxiety, then it should probably first be treated with therapy and antidepressants. After all, with time and patience, traditional methods have been known to work to treat depression and anxiety. However, some people are resistant to antidepressants, which might mean that psychedelic therapy can be the next option. 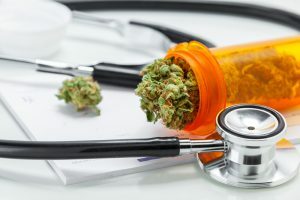 Interestingly, medical marijuana is often thought to be a last resort for conditions like anxiety, which also sometimes gets a bad reputation because of its adverse side effects. Marijuana can alter your senses, alter your perception of time, cause mood changes, impair your body movement, make it difficult to think and solve problems, cause memory loss, cause you to hallucinate or have delusions, and cause you have psychosis. It can also result in physical problems, including breathing problems, rapid heart rate, nausea, and vomiting. Some reports show that it can trigger you to start experiencing symptoms of mental health conditions, including bipolar disorder, anxiety, and depression. However, cannabis has also been shown to be effective in treating pain, anxiety, dangerous appetite loss, and dangerous weight loss. Some studies even show that it can also be used to successfully treat depression and other psychological health disorders. Because of the side effects, it is usually only used when other drugs are, for whatever reason, not an option or ineffective. The reality is that, under regulated and controlled circumstances, many drugs can provide a variety of health benefits. Opioids, for example, are dangerously addictive painkillers, but doctors often use morphine to treat pain in hospitals. Unfortunately, people in the United States are getting addicted to opioids. Doctor prescribed painkillers are arguably making the opioid epidemic even worse. For various reasons, opioid addiction has received a lot more national attention in America than other prevalent drugs addictions. This attention has highlighted that, even when doctors are controlling and regulating the use of certain drugs, it can still cause problems. Therefore, these drugs might work very well and some reports suggest that these drugs can sometimes work better than most of the more traditional options. However, if you are interested in opioids, marijuana, or psychedelic drugs to treat pain or other health conditions, then you will have to be incredibly cautious about how you use them. They became illegal for a reason, they have many negative short term and long term side effects, and research on their long term effectiveness is very limited. You should try your best to stick to proven methods of treatment first unless there is an incredibly good reason why the traditional treatments do not work for you.